The new Oil & Acrylic Workshop by Kimberly Adams and Bridget Skanski-Such is aimed at artists of all levels who want to discover how to use oils and acrylics in both traditional and more experimental ways. 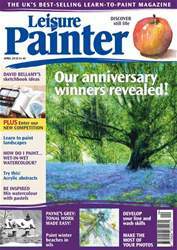 The book is packed with techniques, colour theory, stepby- step projects and inspiration. 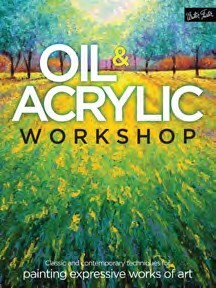 Oil & Acrylic Workshop by Kimberly Adams and Bridget Skanski-Such. Search Press, (s/b), £12.99.